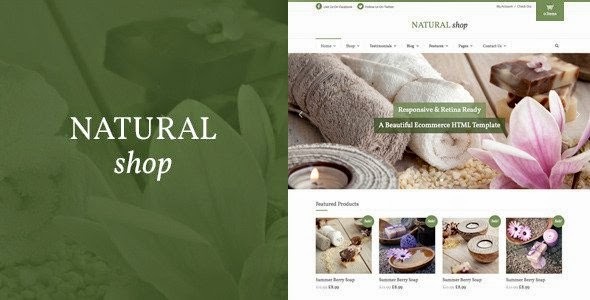 Natural Shop is an responsive and retain ready HTML eCommerce template 2015. Theme is created as a wonderful solution for any agricultural or organic food shop websites, grocery stores, farm, healthy food stores, spa and beauty related products that require special shopping functionality and product presentation. It has 32 page templates. It is very easy to setup and use. 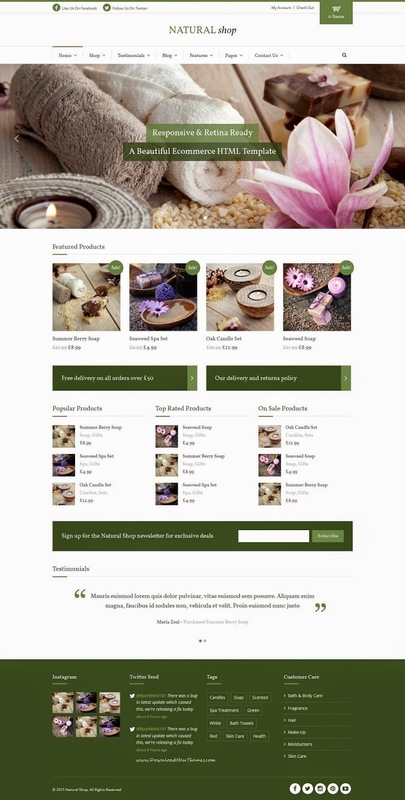 Item Reviewed: Natural Shop Responsive eCommerce HTML Template 2015 9 out of 10 based on 10 ratings. 9 user reviews.